Our patients are rightfully looking for simple, safe and effective treatment options to contend with a plethora of health problems. In response, Regulated Health Professionals (RHPs) are now integrating Contemporary Acupuncture into their practices at an unprecedented pace. This is due to the extraordinary benefits that Contemporary Acupuncture adds to the modern day treatment arsenal of a wide variety of progressive RHPs. As more and more patients and practitioners look to employ a modernized version of the ancient art and tradition of acupuncture, the Canadian Contemporary Acupuncture Association (CCAA) offers a forum where evidence-based RHPs from all backgrounds can come together, share ideas and expand their skills. I warmly welcome all of those who have chosen to join the CCAA. It is my hope that by participating in this association, you will not only enrich your treatment repertoire, but you will also take away relevant solutions to your patients’ everyday health problems. The CCAA relies on the dedicated commitment of its members to take an active and earnest interest in all of our association initiatives. By joining the CCAA, you become part of the growing family of RHPs who have recognized the value of this practical and effective therapeutic approach. By being part of the CCAA, you are acknowledging the importance of group representation and the need for a community of like-minded professionals. The CCAA exists to promote, expand and integrate Contemporary Acupuncture and related techniques into everyday healthcare through education and research. Our mission embraces collaboration and scientific exchange with other professional associations with common interests. Health professional societies around the world are open to incorporating complementary interventions such as acupuncture into their therapeutic offerings. By collaborating under the umbrella of our association, we can help accelerate the process of understanding and optimizing the use of Contemporary Acupuncture in healthcare. Through our website, you can access the latest relevant scientific information and clinical tools to help you to practice Contemporary Acupuncture with excellence. Our regular conferences offer the opportunities to listen to and interact with world-renowned leaders and scientists in the acupuncture field. It is the goal of the CCAA to facilitate the exchange of information among our members from different professional backgrounds, and provide a forum to promote positive change in healthcare delivery. Thank you to each and every one of you for your interest, dedication and involvement with the CCAA. I appreciate your support by entrusting me in the role CCAA President and I look forward to working with you! 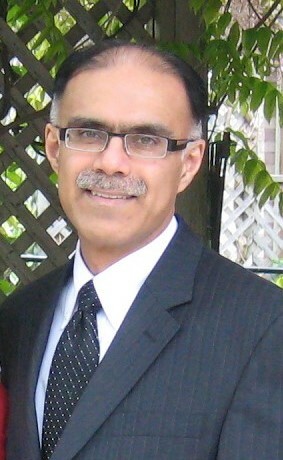 Dr. Ravinder Ohson, MD, CCFP, FCFP. Associate Clincal Professor, Family Medicine, McMaster University,Hamilton. Please forward suggestions to us via our contact page. © Canadian Contemporary Acupuncture Association, 2010 - 2019 . All Rights Reserved.